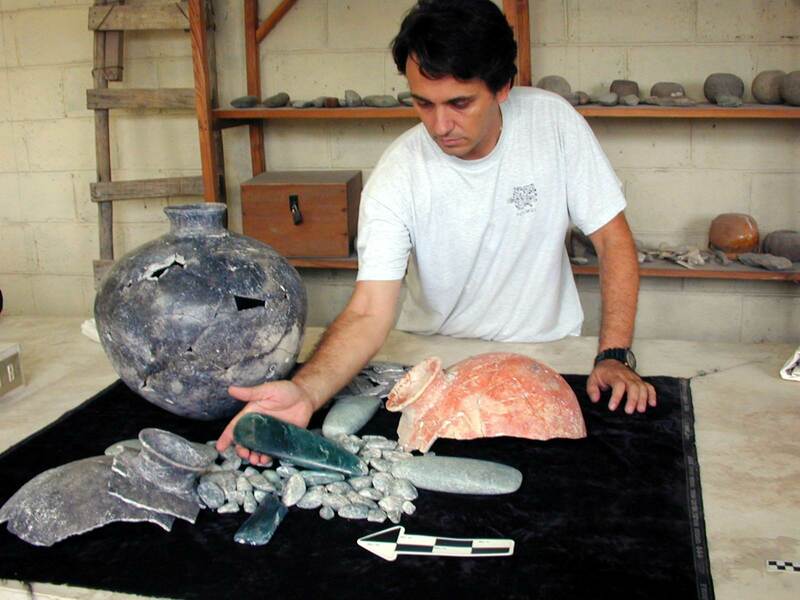 Archaeologist Francisco Estrada-Belli holds one of five jade axes found in an offering at the Preclassic Maya site of Cival in Guatemala. Jade pebbles and fragments of jars suround the axes. Photo by Jeremy Bauer.